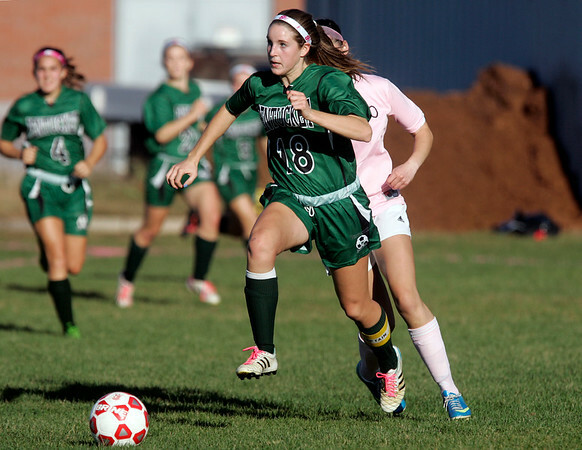 Pentucket senior captain Maddie Torrisi (18) chases down a loose ball agains tMasco on Friday afternoon. DAVID LE/Staff photo. 10/10/14.